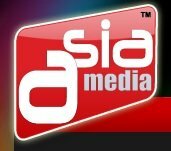 News TV Channel / Asia Media TV, better known as AMTV, is Asia Media's flagship channel and is shown on its Transit-TV network. Contents include weekly programs on sales, marketing, technology, regional developments and news. According to Nielsen Research, AMTV has a daily viewership of 1.24 million. AMTV participates in two way conversations that occur within the context of social media and then creates its programming based on what the viewers say they want. A typical digital campaign includes interaction via mobile phones, on-line participation, viral videos, games, polls and sweepstakes.